Foreign direct investment (FDI) into the Chinese mainland was optimized in quality and quantitative growth, thanks to an improved business environment, officials and experts said. FDI into the Chinese mainland rose 1.1 percent year on year to 446.29 billion yuan in the first six months of 2018, according to the Ministry of Commerce (MOC). In dollar terms, FDI inflow grew 4.1 percent to 68.32 billion U.S. dollars in H1, MOC data showed. 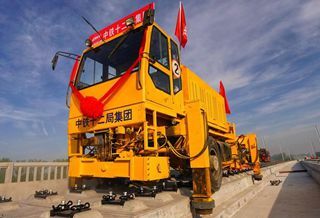 Meanwhile, the number of new overseas-funded companies established in the Chinese mainland surged 96.6 percent from a year earlier to 29,591. "The fast growth of new overseas-funded companies benefited mainly from continuous improvement of China's overall business environment," said MOC spokesman Gao Feng. Foreign investors' confidence was constantly reinforced as Chinese market vitality was further stimulated by simplified company founding procedures and improved investment facilitation, Gao said. In the first half of this year, FDI in the high-tech manufacturing industry rose 25.3 percent year on year, led by investment growth of medical instruments, communications equipment, and computer and office equipment. Huo Jianguo, vice chairman of the China Society for WTO studies, attributed foreign investors' enthusiasm to China's great market potential and eased restrictions. China's promise for a better business environment is becoming a reality, with accelerated implementation of opening up measures. The country has revised its negative lists for foreign investment, further widening market access in such areas as finance, transportation, energy, resources, agriculture, and culture. The nationwide negative list has been cut to 48 items from 63 in the previous version, while the list for pilot free trade zones decreased to 45 items from 95. Both lists came into effect at the end of July. "These lists have opened up areas that many overseas investors have long been interested in," Gao said, giving eased foreign equity restrictions in automobile and financial sectors as examples. "We believe the implementation of the new negative lists will further increase foreign investors' enthusiasm in investing in China," Gao said. Local governments are vying with each other for foreign investment. In June, Beijing made a plan to improve the business environment by giving equal treatment to all enterprises and abolishing rules that impede fair play. In Shanghai, a total of 100 new measures were introduced last month to expand the city's opening up in multiple areas including banking and securities industries. In other regions, local authorities have streamlined administrative approval procedures. "We will continue to strive for a better business environment and protect the rights and interests of foreign companies in China," Gao said. "We hope more foreign businesses of excellence will be attracted to China and seize the opportunities here to realize common development, and that China will remain the top choice for foreign investors," he said. According to the China Business Climate Survey Report 2018 by the American Chamber of Commerce in China (AmCham China), 74 percent of its members planned to expand their investment in China, the highest rate in years. The European Union Chamber of Commerce also reported that more than half its members would extend their business operations in China. As Chinese Premier Li Keqiang is due to arrive here for his Europe visit, it is clear that frequent high-level exchanges and bilateral dialogue at different levels and in various fields will nudge China-European Union (EU) relations forward in the right direction.